Wolfram Reiners has set the German speed kitesurfing record and at the same time the German Outright Speed Sailing Record (WSSRC) in Lüderitz/ Namibia on 31st October 2011 with 46.26 knots over 500m. 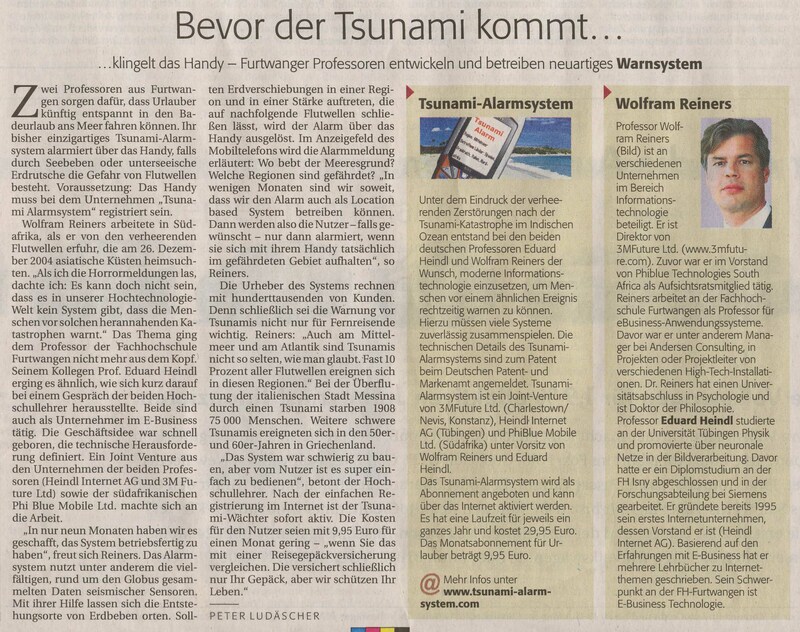 Awarded the prestigious 2007 European ICT Prize for the A3M Tsunami Institute that Reiners has founded. A3M has been selected from amongst 450 applicants from 30 countries by independent experts. The European ICT Prize is the most distinguished technology award of the European Union for innovative products with great market potential. Prize winners represent the finest of European innovation in information and communication technologies. Reiners has received the 2007 Prize for the Humane Usage of Information Technology, awarded by Integrata-Stiftung. 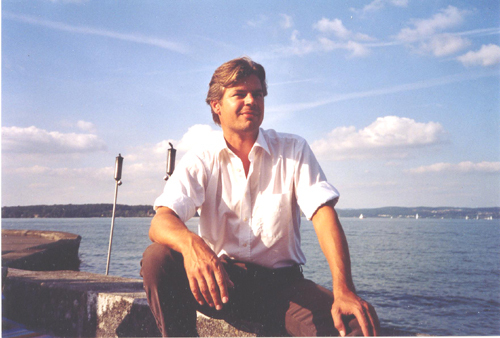 Reiners received the annual prize 1994 awarded by the Studienstiftung Deutscher Psychologen for his thesis on utility analysis of assessment centre personnel selection programmes. Reiners is the inventor for the secure Internet payment system PSOCA. Patents are granted in South Africa and USA, and the patent is pending at the European Patent Office. Co-Inventor of the tsunami alarm system for mobile phones. Patent pending at PCT and DPMA. Inventor of the merchant system for digital services. Patent pending at USPTO. Inventor of a method to take orders and to handle billing for mobile devices. Patent pending at EPO. Inventor of a method and system to enable requested social comparison on a social network to stimulate growth. Reiners is the inventor of a method to model proximity of contact between members and articulation of emotions and gestures in social networks. Publications in conjoint analysis / utility analysis / mathematical statistics. Publications in the area of organisational development / personnel development. Publications in the area of consumer psychology. Publications in the area of effective learning and memory.